DAVID LE/Staff photo. 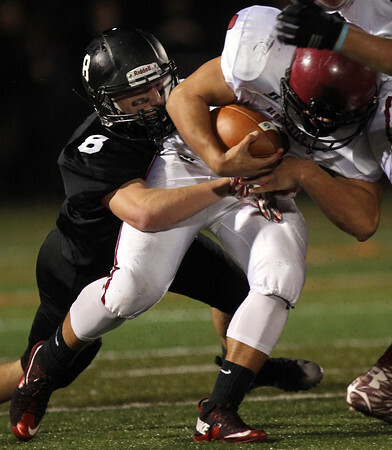 Marblehead senior Craig Nolan (8) holds onto Gloucester's Christian Sanfilippo and drags him down near the line of scrimmage. 11/6/15.